Side note: "Forever Ambushed" is a take-off on the title of bestselling romance novel of 1944, titled, "Forever Amber". The book was eventually made into a film in 1947 by 20th Century Fox. 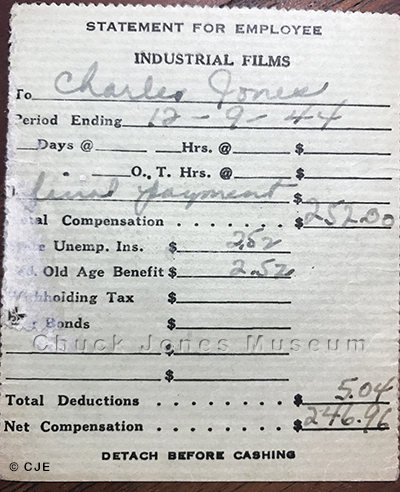 The Chuck Jones pay stub is from the Linda Jones Clough archive.